Many companies and towns today incorporate recycling programs for their customers and residents. Yet some places are still prehistoric when it comes to a viable recycling plan. If your neighborhood wants to institute a change but it is taking your town awhile to plan the logistics or implement a process, you may want to organize a recycling day. Book a one day dumpster rental and have your neighbors or folks in town come out to discard their recyclables into this container. Your local dumpster rental company can pick up your dumpster and have it delivered to a recycling plant. Then you don’t have to worry about your recycling waste piling up on in front of your home while you wait on your township to get a community recycling system in place. Not only is this a quick and easy way to do something positive for the environment but it could give your township the jump-start it needs to figure out a solution that benefits the residents and preserves the earth they inhabit. Our facility offers same day dumpster rental service in Gooding Grove. This location provides a 5 YRD, 10 YRD, 15 YRD, 20 YRD and 30 YRD dumpster for rent. We bring the dumpster via our company trucks and retrieve them when your rental time is complete. We also provide boards to protect your driveway or surface area. 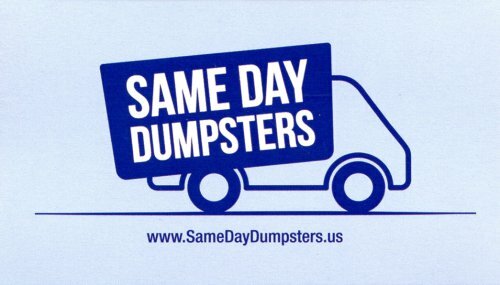 Same Day Dumpsters is a family owned and operated company that has been serving the Gooding Grove area for several years. We pride ourselves in offering high-quality dumpsters quickly and efficiently to serve any request. Whether you have a planned construction project or find yourself needing a cheap dumpster that afternoon because your basement flooded, we have you covered. Our Same Day Dumpster Rental team go the extra mile to make sure you and your projects are top priority. 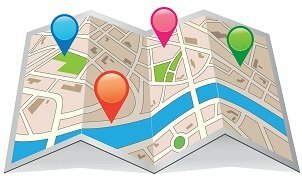 Conveniently located in Burr Ridge, Illinois, we are able to access the Gooding Grove area with lightning quick speed. We have experience serving the needs of fellow Gooding Grove residents such as yourself and are easily adaptable to any dumpster rental request you may have. Our team is geared towards making your project a success and we strive towards making the time you rent a dumpster as easy and stress-free as possible. If you are a contractor or construction company finding yourself in need of a dumpster rental company in Gooding Grove, give us a call. We can accommodate your large renovations, new building project and demolition rubbish removal needs. Our variety of dumpsters can handle your industrial materials and concrete debris. With same day dumpster rentals, we can have that container in and out of your job site quickly and efficiently. So, no matter if you are doing a large commercial roof tear-off or tearing up a foundation, Same Day Dumpsters can help get the job done.